The cruise ships are not able to dock in this port, you will be tendered ashore to the center of town. Be aware that in slightly rough conditions the tender operation will not take place. For this reason, ships scheduled to anchor at Santa Margherita are often diverted to Genoa. Video of Santa Margherita and nearby places worth visiting. Located on Italy's stunning Ligurian coast, Santa Margherita is steeped in Mediterranean history. Explore the castle built in 1550 by the Republic of Genoa as defense against North African pirates; tour the scenic region of Lavagna and the Roman Gothic basilica at San Salvatore di Cogorno; and wander through picture-perfect Portofino and enjoy the stunning views from the Portofino Lighthouse. 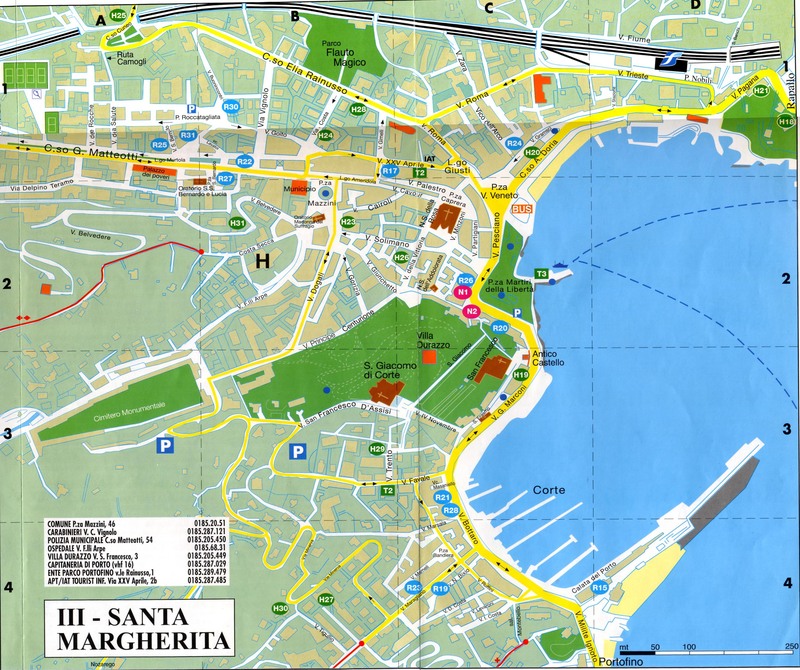 It is very easy to get around Santa Margherita by foot. An efficient bus service connects the center with the surrounding villages Nozarego, Paraggi and San Lorenzo della Costa and with the nearby towns of Portofino, Camogli, Recco and Rapallo. Santa Margherita also has a valid maritime tourist boat service which connects the town to nearby locations. By boat it is possible to reach the enchanting towns of Portofino and San Fruttuoso di Camogli, in the Cinque Terre, as well as larger centers like Rapallo, Chiavari and Genova.